Six years ago I sent away for a cook book straight out of my childhood. The cook book was everything I hoped it would be – and more. 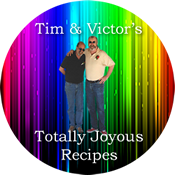 Recipes written by a baker – not a cook book author. The layout could be a bit disconcerting at first for someone who has not worked in a production bakery before. The “instructions” for creating something are a collection of “recipes” for the different components. But once you see the logic, it’s extremely easy to navigate. Another nice thing is you may create several different recipes to assemble the finished product. You actually get to focus on each recipe independently. It’s much less intimidating! So… the reason for this walk down Memory Lane?!? We have friends coming over next weekend for our annual Christmas Get-together and we decided to do a Brunch. And I thought homemade Danish pastries would be fun to make. Homemade Danish means the recipe from Fantasia – since I don’t have the one from The Donut Center. It’s extremely versatile and is used for everything from classic Danish to butterhorns, bear claws, and coffee rings – a breakfast cake I haven’t seen in years. It is a classic recipe requiring lots of butter, folding, rolling, and refrigeration – and it has to be made the day before. The cook book is currently out of print, but you can download a full 248-page .pdf version of the book for making a $25.00 donation to one of several non-profit chlidren’s organizations in the bay area and beyond. Details are on their website: www.lovetobakecookbook.com. It could be a great Christmas gift for your favorite baker and a worthwhile donation at the same time!